Content is what people seek out and share. And great content is what Google wants to rank well. Get the right message across with our copywriting services. Our copywriting services will convey your message with eloquence, knowledge and persuasion. We’ll make sure it is filled with value, so people will want to share it on social media. We’ll also make sure Google can find it and rank it. But what sets our writing apart is where we start. It all begins with the brief. A piece of content is only as strong as the brief, but most briefs fail to hit the mark. Everything we write is based on the brief that we develop, taking time and pressure off you to get it right. Through a period of discovery, we’ll gain an understanding of your business, your goals, your industry, your customers and preferably your buyer personas. So when you need something written, we’ll know how to question you and fill the gaps in the brief. The end result will be a message with impact. We work to build long-lasting relationships with our clients, becoming an exension of their marketing department. This way, as our knowledge of your business grows, so does the effectiveness of our writing. Preferably, we’d like to start with a content plan, making sure every piece of writing is contributing to your organisational goals. Convey knowledge and establish credibility and trust with a well-written blog post. Gain exposure for your company by creating newsworthy content that gets column inches. Produce website content with SEO in mind to achieve the greatest impact. Deliver regular bulletins of digestible and genuinely useful information your customers can’t wait to read. 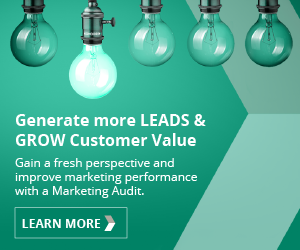 Create email campaigns with high click-through rates and lead generation. Converse and engage with shareable content that boosts followers and exposure. Share insightful content that’s relevant to your audience conveying your insight and expertise. Create simple, easy-to-read user guides that help improve the customer experience. A lead magnet and nurturing piece that demonstrates your knowledge and increases your credibility. Before you film, prepare a script to ensure your message is delivered with impact. A true art. Drive click-through rates while decreasing cost per click with targeted ad text. Preparing bids and tender proposals requires, time, effort and experience. A great lead magnet that provides valuable information for your target audience, building your credibility. Simplify your messages through clear visual representations that capture and engage your audience. Convey a strong value proposition that’s relevant to your target audience. Craft a message that engages and gets visitors to click. When writing content for publishing online, we always write with search engine optimisation (SEO) in mind. We’ll make sure that our writing is based on an understanding of how people search for what you have to offer. We’ll use keyword themes to help your content get found and improve rankings. We don’t just rely on our copywriters to do this bit. Every piece of content is reviewed by a search engine marketer who advises on how to improve the piece for improved visibility in the search engines. We’ll also write your meta titles and meta descriptions. And if you need help with posting your content, we can do this too. All of this is possible because we work as a team of marketers, not just copywriters working in silos. We’ve created a great team of copywriters across a diverse range of backgrounds. This means we can offer industry expertise in B2B marketing environments with our strengths in technology, telecoms, professional services, automotive and manufacturing. If you need help getting the right message across, get in touch with us today and find out how we can help you with our experienced copywriting services.